England host Slovenia at Wembley on Thursday night, knowing that three points will be enough to secure their qualification for next summer's World Cup. 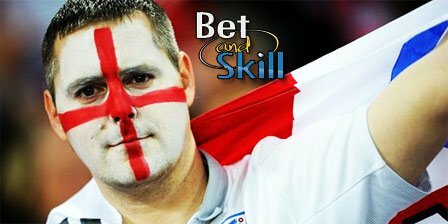 This article contains our England vs Slovenia betting preview including predictions, betting tips, line-ups, team news, enhanced odds and no deposit free bets on the World Cup qualifiers! England have won all four of their home qualifiers so far in this campaign and conceded just one goal in that time. The Three Lions, who have not lost a home qualifier in over ten years now, top their qualifying group with 20 points, after 6 wins and 2 draws in the first 8 matches. Their last outing was a 2-1 home victory over Slovakia. As to the reverse match, England and Slovenia drew 0-0 in in Ljubljana last October but home advantage is likely to swing the game in favour of Gareth Southgate's men. Dele Alli serves a one-match ban and will miss the clash while Phil Jones and Fabian Delph have both withdrawn from the squad because of injury. Harry Winks has been handed his first senior call-up. Gary Neville should play with a 4-3-3 formation in which Harry Kane will be flanked by Marcus Rashford and Raheem Sterling. The trio will be supported by a more defensive midfield formed by Jake Livermore, Eric Dier and Jordan Henderson. The likes of Kyle Walker, Gary Cahill, John Sotnes and Ryan Bertand should form the four man backline, with Harry Maguire providing a viable alternatve. Slovenia are also fighting hard for a place in the World Cup as they sit six points off the top in third. Katanec's men have a mountain to climb in order to make their way to Russia as they have to play England and Scotland in last two rounds. Plus, Slovenia have won just one of their four away games in qualifying - including back-to-back qualifying defeats in Scotland and Slovakia - and failed to score in two of those matches, plus recent friendlies away from home against Saudi Arabia and Sweden. 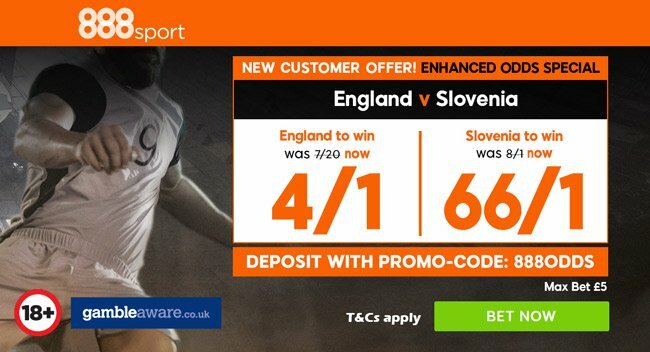 Slovenia outplayed England in the reverse fixture - they were unfortunate and hit the woodwork twice. Few surprises are expected from the away side. Srecko Katanec may field a 4-3-2-1 formation in which Valter Birsa and Josip Ilicic will play behind the lone striker Roman Bezjak, altough Tim Matavz is pushing for a start up front. The likes of Baenjamin Verbic, Renè Khrin and Jasmin Kurtic are expected to play in midfield, with Rajko Rotman a further option. Bostjan Cesar is in line to win his 99th cap as he will play in defense alongside Nejc Skubic, Bojan Jokic and Miha Mevlja. "England vs Slovenia betting tips, predictions, lineups and free bets (World Cup Qualifiers - 5.10.2017)"